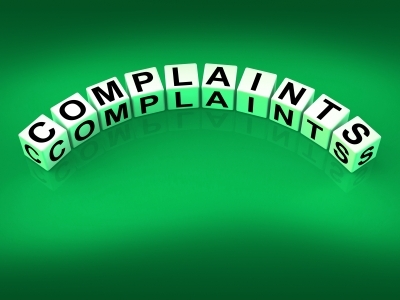 Customer complaint handling are a part of any business. These should be viewed positively and a proper resolution of complaints provides a great opportunity to build relationship with customers. The training of employees who interact with customers plays a crucial role in customer retention. 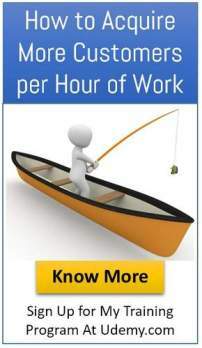 In service businesses employees, at all levels interact with customers. Therefore ,adequate attention should be paid to make them realize their role in retaining customers. A complaint is a gift and you should consider yourself lucky that a customer is prepared to give up valuable time to help you improve your organization. Studies have shown that it costs 5 times more to acquire a new customer than retaining an existing customer. Only 5% of customers report a defective service / product and the rest simply switch over to the competitor. Two packets of biscuits were purchased from a supermarket. In one of the biscuit packets, a biscuit had a stapler pin when the biscuit was split into two halves. A letter along with the wrapper was sent to their head office with purchase details. Three to four weeks elapsed and nothing happened. One fine day, the Zonal Regional Head telephoned and enquired when would be the convenient time for their local Sales Officer and Customer Service executive to meet the customer at their houser. They met the customer with a basket of goodies, a thank you letter and flowers. They appreciated the customer’s action in sending the wrapper which helped them to track and trace the production unit and the shift in which it was produced. They warned the operators and supervisors for their negligence. The customers brand loyalty continues. A customer buys her monthly requirements from this supermarket. In a particular month she noticed that mustard ,cumin and bajra were adulterated. They had small stones of the same color and size of the products. She e-mailed her complaint to the company with details like purchase date and stores location. The customer services team head responded immediately and requested for the invoice, and the details of packing date etc. She replied that both wrapper and invoice had been disposed off. The customer also wrote that she was not asking for any compensation and herintention was only to bring it to the attention of the company, as she never expected such substandard products from a supermarket of international repute. 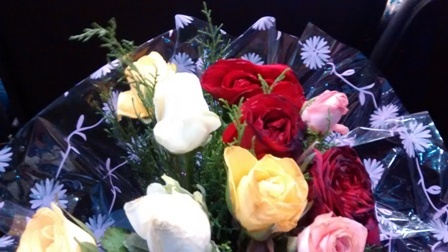 The Supermarket Manger sent his sales representative with replacements and a bonus of nice bouquet of flowers. A couple, senior citizens, booked a overseas tour package. They saw a few customer reviews of the accommodation provided in the tour package. Most reviews showed dissatisfaction. They were willing to pay extra to be upgraded to a four star hotel. The portal Marketing Officer convinced them that it is a three star hotel and that there had been no complaints from his previous customers who stayed there. When they arrived at the hotel, we noticed that the facilities in the room were not conforming to the offer. On realizing that other rooms had electric kettle this couple requested one for themselves to prepare morning tea. The lobby personnel said they doid not have stock. An e- mail was sent to the Marketing Officer of the travel portal who washed his hands off the whole deal saying that he could held responsible as the customer had contarcted with the hotel. It is important to note that they did not have any direct contact with the hotel and all was done through the travel agency. The customers who are frequent travelers have decided not to use this portal anymore. A customer ordered a bouquet of roses for delivery between 5-9 pm on a particular day. The marriage. That they have to attend was on the next day. The flowers were delivered at 12 noon instead of the evening and by the time they were presented next day ( 24 hours later) they had withered completely. The customers regretted not buying the bouquet of flowers from street vendor, on the day of marriage. At half the price the flowers were fresher.